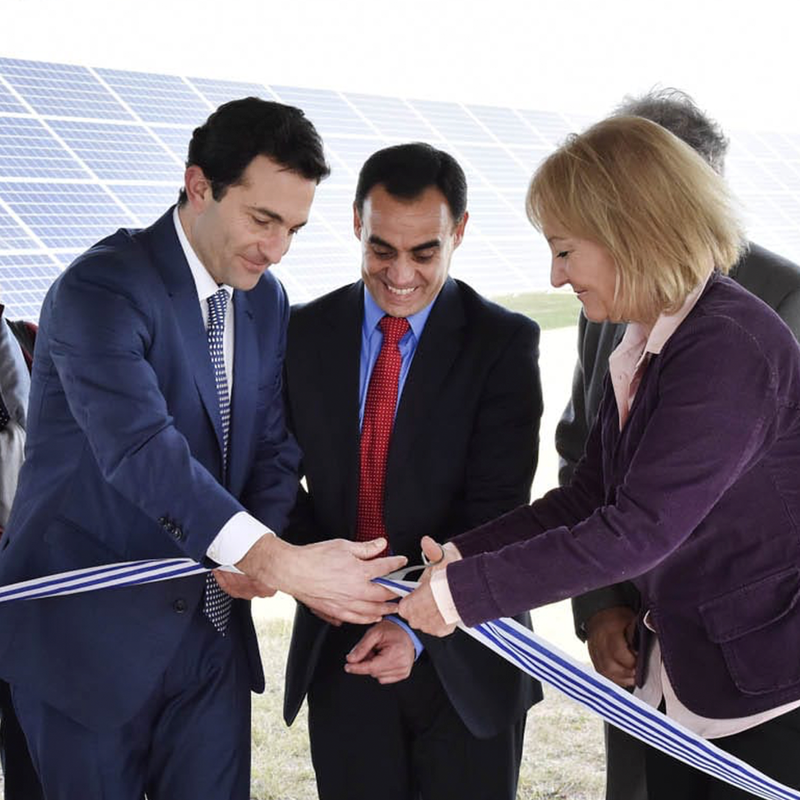 Carrasco Airport is the first of the region with a solar photovoltaic generation plant. The implementation of the Energy Plan reduced the carbon footprint of the air terminal and allowed to receive Certification in Environmental Management. Ratifying its commitment to transform the Carrasco Airport into an energy-efficient space, Corporación América, group to which MVD Free Airport belongs, concessionaire of the air terminal, inaugurated a modern solar photovoltaic generation plant. The installation positions the airport as the first in Latin America, which has a own energy generation system. The plant, with a capacity of 0.5 MW, is part of the Project of Energy Efficiency that the air terminal carries out and includes the replacement of Led luminaires and the installation of heat pumps and free cooling for thermal conditioning. In its first stage, the solar plant occupies a one hectare plot at entrance of the terminal and consists of 1,540 photovoltaic panels distributed in seven rows from north to south. Its metal structure has state-of-the-art solar tracking technology, which allows the movement of the panels during the day and a 30% improvement from the sun’s energy to traditional fixed panels. The project is aligned with the goals outlined by the terminal in terms of sustainability and with the global order issued by the International Civil Aviation Organization (OACI) to work for mitigate the carbon footprint and prevent pollution by 2030, when the number of passengers by aircraft is expected to double. The professional technical team operated in a linked way with the Ministry of Industry Energy and Mining, the National Bureau of Energy, UTE, and the Control Unit of the National Bureau of Civil Aviation and Aeronautical Infrastructure (Dinacia) of the Ministry of National Defence to make the installation viable, and finally it was built by a consortium of Smart Green Uruguay and Ciemsa. During the inauguration, in the presence of National and Regional authorities as well as the company authorities; Diego Arrosa – CEO of Corporación America in Uruguay, highlighted the work done together with the institutions and reaffirmed the airport’s commitment to energetic efficiency. 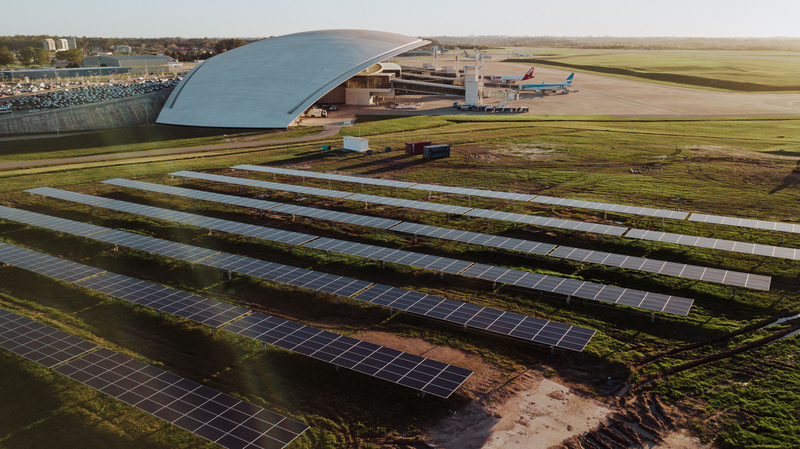 “For Carrasco Airport, it is a source of pride and also of responsibility to be the first in Latin America to have its own solar power generation plant. The great work done by the professionals and the authorities that worked on its development reaffirms the leadership of the terminal inside and outside borders to transmit the importance of using resources responsibly, generating a minimum impact on the environment and improve energy efficiency “, affirmed Arrosa. The implementation of the project allowed to reduce the carbon footprint of the terminal, which obtained the certification of the Program of Carbon Certification Level 1 of the International Council ofAirports (ACI-World), in addition to ISO 14064-1, a standard of environmental management in which reports of greenhouse gas emissions are voluntarily verified. With this initiative, Carrasco Airport fulfills its objectives of improve efficiency and generate renewable energy, the two pillars of the company plan to develop a clean, safe and environmentally friendly system.The installation of the solar plant is added to various actions developed in recent years such as the implementation the new air conditioning system, and confirms the commitment of the terminal to become Green Airport.